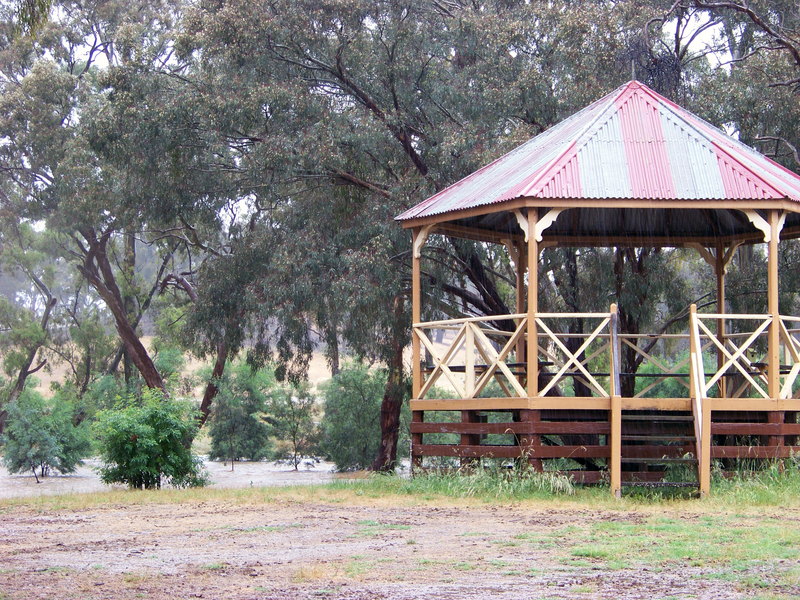 I was sad to see last weekend that the rotunda at Newstead’s Rotunda Park had been demolished. 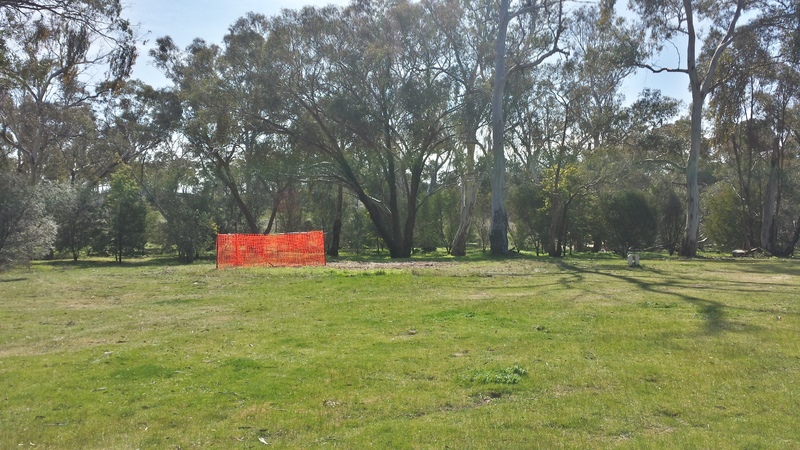 It was not a shock, the structure had been fenced off for many months with fears for its integrity following a termite attack, but locals fear it will take months for a new building to be funded if one is at all. There had been a rotunda at the site for over 100 hundred years, though some say it was rebuilt anew sometime in the 1980s or 90s, while others say the original building was restored and was in place until recently. The site has quite a sentimental significance for myself and the town. I grew up across the road from the park and played there countless times. Every few months we see the Newstead Market with a band set up in the rotunda, and on other occasions a large, white screen would be strapped to the side for an open-air cinema night. Cluey travelers who spent the night in the park would have found the free water and electricity accessed from underneath the rotunda quite useful too. I suppose we call the place “The Park” now. 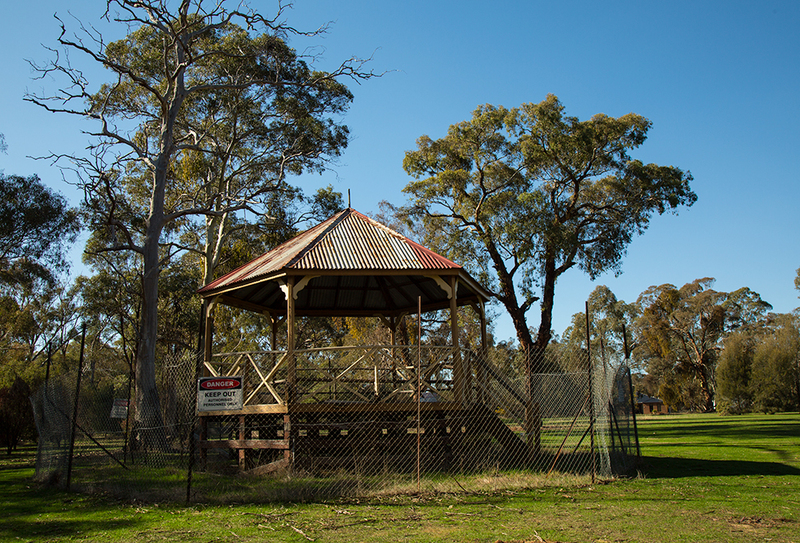 A meeting was held recently at the Newstead Rotunda Park, looking at the present state of the Rotunda building and discussing its future. Representing our area/ region were Garry and Karen Pierce, Helen Watters, Peter Skilbeck, Margaret Lewis, Stuart Reid and Michael Redden. From Council Ben Grounds (Manager of Infrastructure) and Don McKie (Building Officer). As you will be aware, the Rotunda has been fenced off for many months, on the basis that it is structurally unsound. The main problem is that termites have attacked it and the lower half of the building is badly affected. The upper section seems quite sound (at least according to the Newstead residents!). Council has issued a demolition order on the structure but the meeting discussed how this might proceed. A discussion resulted in the suggestion that the top half of the building be cut off and preserved, while the lower section be scrapped. Stuart Reid expressed interest in trying to preserve some worthwhile material from this process. Ben Grounds informed us that Council will develop plans for this demolition and come back to the community for comment. The question arises as to what will replace the Rotunda. Council has undertaken to consult us about this issue, while being told that most people seem in favour of replacing it with a similar building. Ben said that there is no funds set aside for this is the 2015/16 budget and indicated that the building is not high on Council priority lists. We will need to push hard for a timely replacement, backed by sound arguments. At the meeting, Karen Pierce presented the Council officers with much historical detail, including photographs of the Rotunda going back almost 100 years. This seems to firmly establish the heritage value of the building. The council’s draft budget for 2015/16 is now out for public comment . You are invited to make comment on the budget, through written submissions or direct to me, as your Councillor. The suggested rate rise is 4.5%, the lowest for many years. In fact the rate rise (based on property values) for residents and farmers is 3.3%, while the rise for waste management is 7%. This second figure results from the orders given to council by the EPA to recap two previous “cells”. I have no idea if the top half of the rotunda has been saved, but I doubt it would have been.